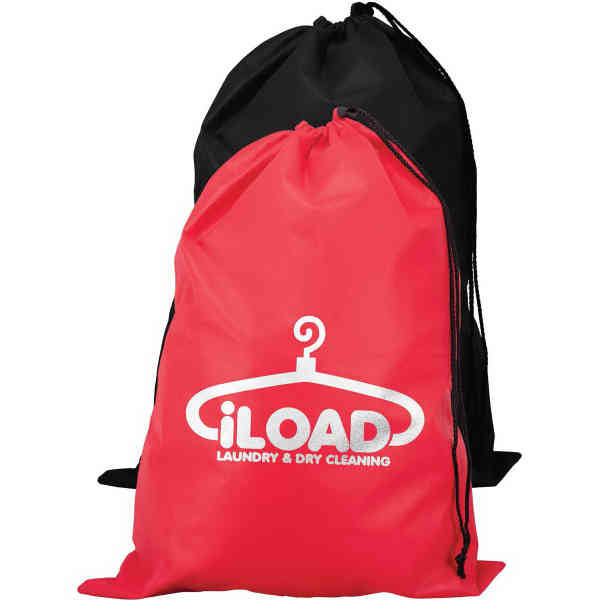 Clean up the way you advertise when you add this laundry bag to your next promotion! Whether your target audience is made up of apartment-dwellers, college students or anyone else using laundry facilities, simply add your name and logo to this bag before giving it out to lend a helping hand. Made of 100% nonwoven polypropylene, 80 grams, it measures 20" W x 27 1/2" H and is offered in two product colors. Assorted colors are available in lots of 50 per color. Exact PMS match unavailable and halftones cannot be printed on this product. Help recipients haul their clothes and they'll carry your brand to success as well! Size: 20 " x 27 1/2 "